It wasn't all doom and gloom for Democrats on election day. Kamala Harris, of California was elected to the U.S. Senate on Tuesday. California voters on Tuesday elected the state’s first new U.S. senator in 24 years, and made history in the process. State Atty. Gen. Kamala Harris easily won the race over Loretta Sanchez, according to the Associated Press, becoming the first black politician in history to represent California in the Senate. 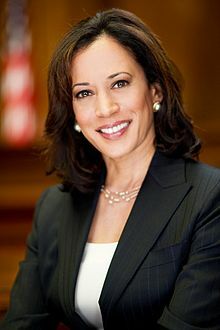 Harris, the daughter of immigrants from India and Jamaica, becomes only the second black woman ever elected to the Senate.